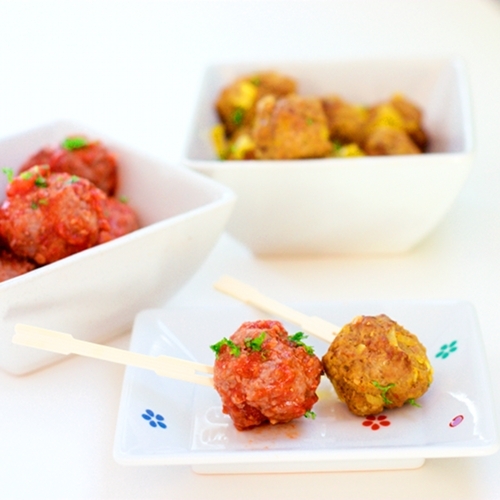 Old fashioned meatballs dressed in Spicy Chipotle Sauce (Mexican) and Saffron Wine Sauce (Spanish). Preheat the oven to 400 degree F. In a large mixing bowl, mix together all the ingredients using your hands (or wooden spoon) until well incorporated. Refrigerate for at least 1 hour. 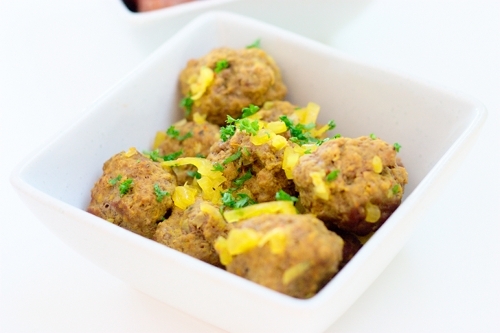 Using your hands, shape the meatballs into rounds, about 1-inch in diameter each. Place meatballs on the baking sheet (or individual mini muffin pan) and bake for about 20 minutes or until cooked through. Remove meatballs from the pan and cool down. In a blender, process tomatoes and chipotle chilies until smooth. Transfer the sauce to large saucepan, heat over medium heat and bring to boil. Reduce the heat to simmer, add spices to the chipotle sauce, stirring occasionally. Add meatballs to the sauce, cover and simmer for another 30 minutes, or until the sauce thickens. Transfer to plates. Sprinkle with chopped cilantro, if desired. In a large saucepan, heat the oil over medium heat. Sauté the onion and garlic until translucent. Add wine and continue cooking until the wine starts to evaporate. Pour in chicken stock, saffron water and spices. Reduce the heat to simmer. Add meatballs to the sauce, cover and simmer for another 30 minutes, or until the sauce thickens. Transfer to plates. Sprinkle with chopped parsley, if desired. So creative! I'm loving the Adobo sauce one. Oooh, I'm all for the saffron wine sauce! :) I adore saffron. Though the spicy variant looks enticing, too! Saffron is one of the must have ingredients in my kitchen. I just love it! 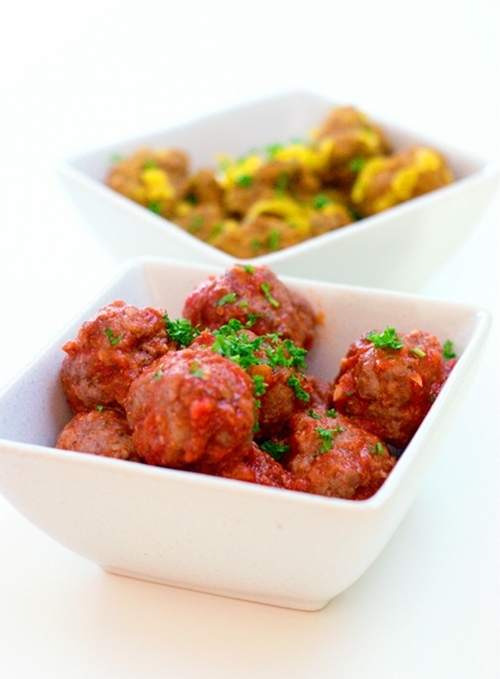 LOVE meatballs! These both look great. Love the nontraditional sauces you used! They both sound great, but I especially love the chipotle ones. I'm going to have to try that with the kids, especially my daughter who loves spicy anything and loves chipotle flavor. Great meatballs! These all sound great! 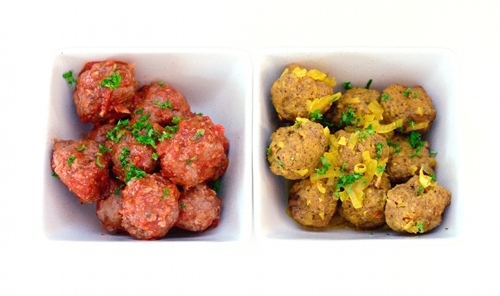 Lovely photos of the meatballs. Makes me just want to gobble up one of those bowls - any one- doesn't matter which because they look super tasty! Love the Spanish meatballs (the Mexican, too - but no access to chipotles LOL) Hubs is a BIG meatball fan.